Hello loves. Hope everyone is having a happy & health[ier] week than I’ve been having over here. I have been so sick since last Sunday.. coughing/sneezing/sniffling, all that fun congestion junk + throw in some chills, sweats & body aches, and this week has been real fun. I feel like I’m turning the corner and hoping I can get back to working out in the next couple of days. 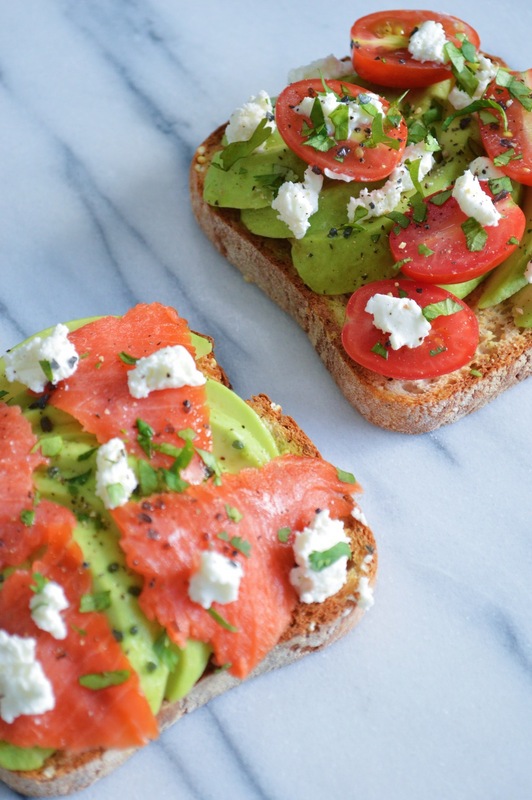 so-scrumptious breakfast of Avocado Toast. 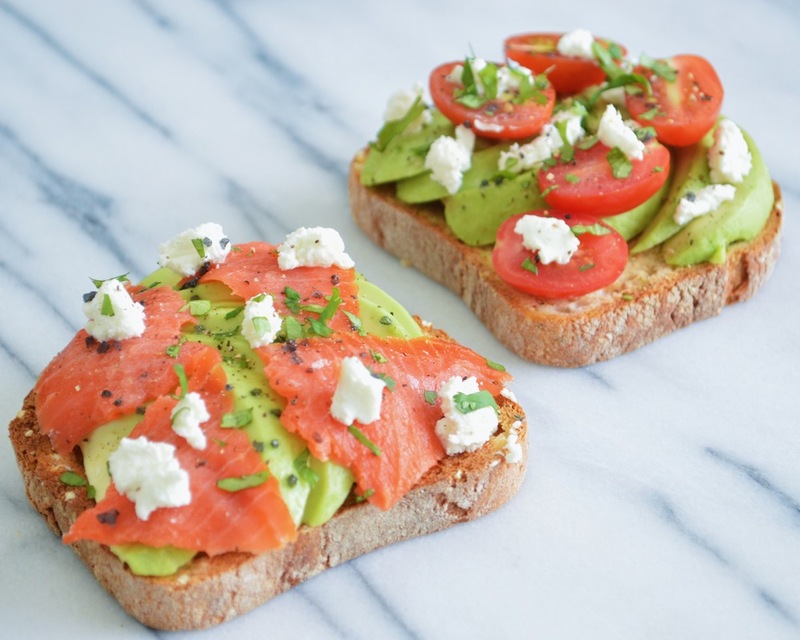 This is one of the simplest & most satisfying brekkies and so full of yummy, healthy goodness — good-for-you fats & fiber, especially! I used (and love!) Udi’s Gluten Free Millet-Chia bread. 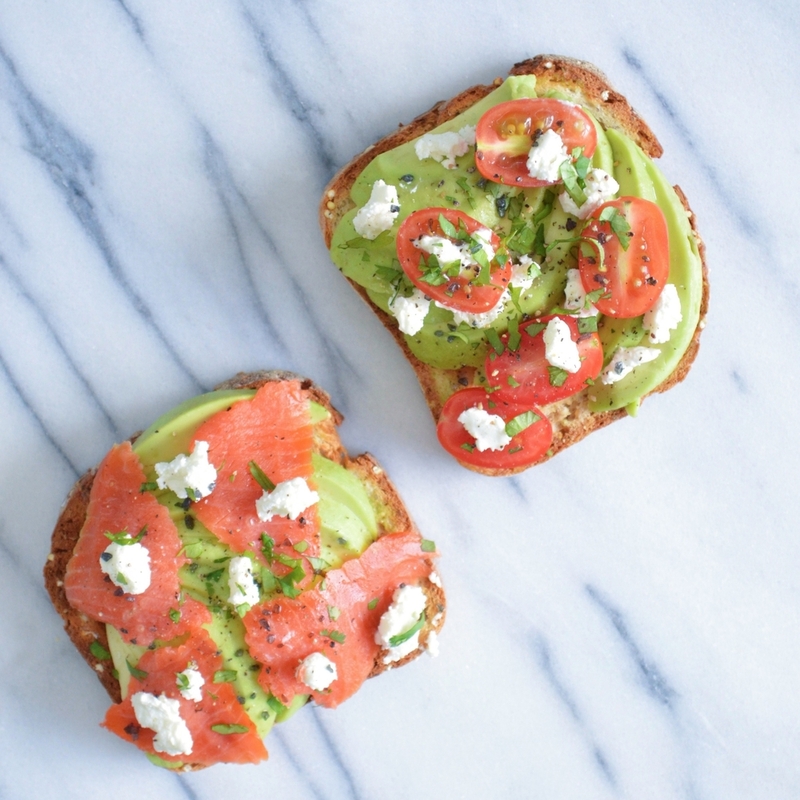 Each slice of toast has half of a perfectly ripened, rich & creamy avocado topped off with smoked salmon for Adam / tomatoes, for moi. Both have goat cheese & cilantro + black salt & pepper + a squeeze of lemon. Previous Post I passed the NC Real Estate Exam!! !